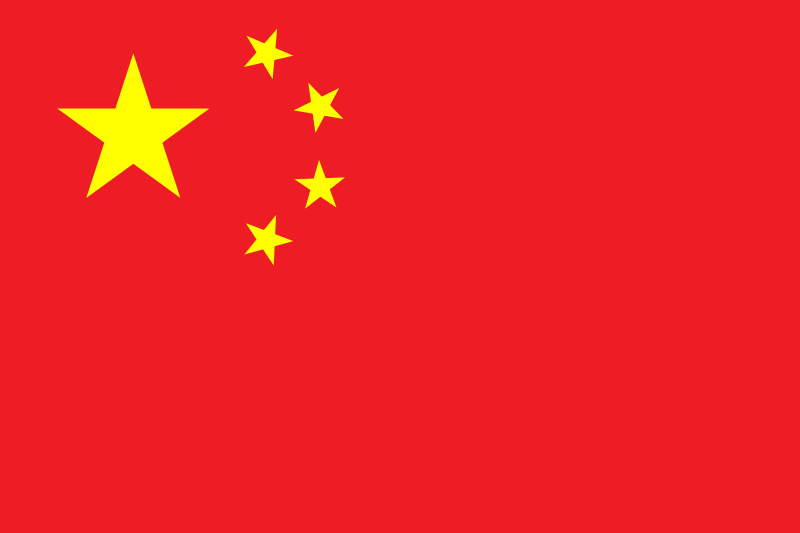 China (i/ˈtʃaɪnə/; simplified Chinese: 中国; traditional Chinese: 中國; pinyin: Zhōngguó; see also Names of China), officially the People's Republic of China (PRC), is the world's most-populous country, with a population of over 1.3 billion. The East Asian state covers approximately 9.6 million square kilometres, and is the world's second-largest country by land area, and the third- or fourth-largest in total area, depending on the definition of total area. China's landscape is vast and diverse, with forest steppes and the Gobi and Taklamakan deserts occupying the arid north and northwest near Mongolia and Central Asia, and subtropical forests being prevalent in the wetter south near Southeast Asia. The terrain of western China is rugged and elevated, with the Himalaya, Karakoram, Pamir and Tian Shan mountain ranges separating China from South and Central Asia. The world's apex, Mt. Everest (8,848 m), lies on the China–Nepal border, while the world's second-highest point, K2 (8,611 m), is situated on China's border with Pakistan. The country's lowest and the world's third-lowest point, Lake Ayding (−154 m), is located in the Turpan Depression. The Yangtze and Yellow Rivers, the third- and sixth-longest in the world, have their sources in the Tibetan Plateau and continue to the densely populated eastern seaboard. China's coastline along the Pacific Ocean is 14,500 kilometres long—the 11th-longest in the world—and is bounded by the Bohai, Yellow, East and South China Seas. In the 1946–1949 phase of the Chinese Civil War, the Chinese Communist Party defeated the nationalist Kuomintang in mainland China and established the People's Republic of China in Beijing on 1 October 1949. The Kuomintang relocated the ROC government to Taiwan, establishing its capital in Taipei. The ROC's jurisdiction is now limited to Taiwan and several outlying islands, including Penghu, Kinmen and Matsu. Since 1949, the People's Republic of China and the Republic of China (now widely known as "Taiwan") have remained in dispute over the sovereignty of China and the political status of Taiwan, mutually claiming each other's territory and competing for international diplomatic recognition. In 1971, the PRC gained admission to the United Nations and took the Chinese seat as a permanent member of the U.N. Security Council. China is also a member of numerous formal and informal multilateral organizations, including the WTO, APEC, BRICS, the Shanghai Cooperation Organisation, the BCIM and the G-20. As of September 2011, all but 23 countries have recognized the PRC as the sole legitimate government of China. Since the introduction of market-based economic reforms in 1978, China has become the world's fastest-growing major economy. As of 2012, it is the world's second-largest economy, after the United States, by both nominal GDP and purchasing power parity (PPP), and is also the world's largest exporter and second-largest importer of goods. In per capita terms, China ranked 90th by nominal GDP and 91st by GDP (PPP) in 2011, according to the IMF. China is a recognized nuclear weapons state and has the world's largest standing army, with the second-largest defense budget. In 2003, China became the third nation in the world, after the former Soviet Union and the United States, to independently launch a successful manned space mission. China has been characterized as a potential superpower by a number of academics, military analysts, and public policy and economics analysts.